Audi promises long-term investments in Mexico. 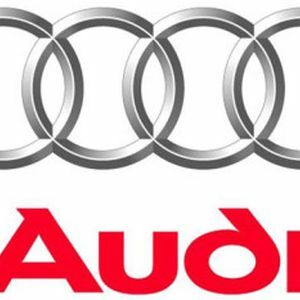 Audi AG’s CEO, Rupert Stadler, stated that the investment for US$1,300 million that the German company estimates to invest in Mexico is a long-term plan, for which a less economic growth for 2014 will not affect their development plans. The assembly plant in Mexico will have an initial production of 150 thousand units. Stadler said that the size of the Mexican market justifies that Audi decided to invest in the country and not because of their salary costs nor production, but because also they “want to be close to North America”. As it helps with the currency exchange compensation of euro-dollar, which means a long-term stability. Likewise, the advantages of local production, allowing to reduce the importation fee costs. By 2016, when Mexico start producing the first vehicles it is contemplated to incorporate Mexican suppliers at 65%, expecting to reach 90% in the next 2 years. He also mentioned, that they are to construct a supplier park near the factory in San José de Chiapa, Puebla, for their business partners to settle, since to begin the Q5 production is considerate to have the two third parts of the pieces and components to be produced in the country. Stadler remarked that with the beginning of the Q5 production, Audi Mexico will be creating 3,800 jobs, which are currently hired 280 and by the end of 2014 is expected to add 1,000 employees, without including the suppliers.